Some days, it just feels hard. There is too much to do, and not enough time to get it all done. There are too many tasks, and not enough you. You’re too busy and you can’t fathom how you could possibly cram another thing on your plate. At my gym, there is a sign that says, “Clear your mind of can’t.” I like that—even when I feel that I simply cannot. And then I think, maybe, just maybe I can. So instead of thinking about what I can’t fit into my schedule, I pick up the phone and actually make that phone call. And suddenly, I’ve done the impossible—I did something I was sure I couldn’t do. Can’t seems to be one of those ubiquitous words that follows us everywhere. Certainly it is one I hear all the time. Can’t do the other thing—for any number of reasons. But what if, instead, you thought “can?” Can do this; can accomplish that. And yes to that other thing. Think about all you could accomplish—instead of what you believe you cannot do. Today, when you are feeling too busy to take on another task, consider what you could do in the few minutes you might spend thinking why you can’t do one more thing to actually do that thing. Challenge yourself, and don’t let negativity defeat you. But wait—that task is so daunting. How can I possibly (fill in the blank)? Here’s a thought: Don’t try to do it all. Break it down into small chunks. Chunks you can fit into your crazy schedule. Make it manageable and you will manage to get it done. Carve out a small amount of time each day—I’m a big fan of the half hour; I’m constantly amazed of how much I can do in thirty concentrated minutes. 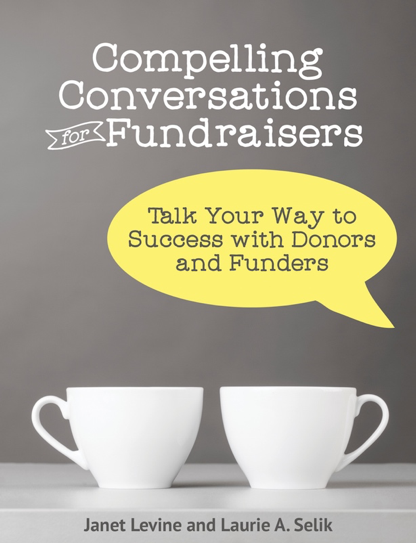 Just as consistency is the magic bullet of fundraising, it is the magic bullet for almost everything we do. Consistently take the time to do the small part of what you thought you could not do, until it is done. You’ll probably find that in doing that, this thing that loomed so large, was hidden behind a thick and impenetrable, is actually very doable. And now you can find another can’t do thing that you can turn into a success story. Janet Levine works with nonprofits, helping them to increase their fundraising capacity and finding out the many ways they can! Learn more at http://janetlevineconsulting.com. While there, sign up for the newsletter. This entry was posted in positive attitude, productivity and tagged can, can't, consistency, Goal-setting, half hour, magic bullet, productivity, time management. Bookmark the permalink.